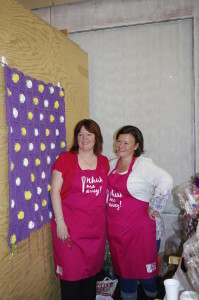 The Basel Journal had a nice write up about our charity fund raisers. 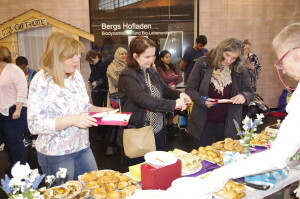 Supporting charitable organisations with baked goodies: the International Women’s Institute Basel is collecting for good causes, and has already been quite successful. 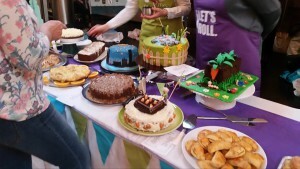 On the 1st May we held our fourth Basel Bake Off at Markthalle. 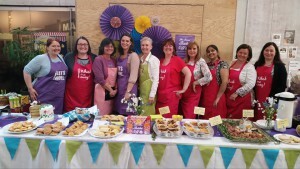 We can unreservedly say that this was our most successful Basel Bake Off yet as we were able to raise 1236.64. chf for the Frauenhaus which is over twice the amount we were able to give to the Frauenhaus at our first Basel Bake Off in 2015. The standard of the competition was very high. 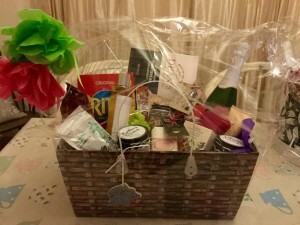 This was the first time we opened our competition to the public and our entrants did not fail to impress! 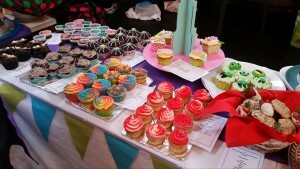 We had three categories, two for adults (sweet and savoury) and one for under 18s (cupcakes). 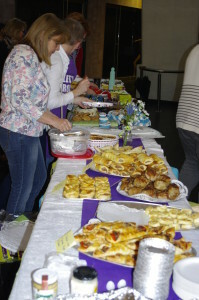 Our judges certainly had a hard time choosing between the entries! Cupcakes – Liza who baked rainbow cupcakes. 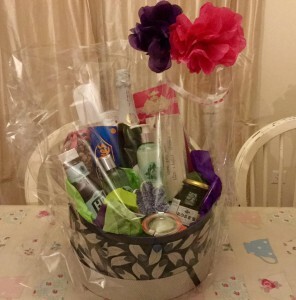 Each winner received a plaque and a small prize. 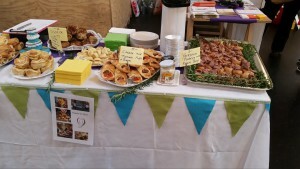 We are already planning our next Basel Bake Off which will be held at the end of Summer. 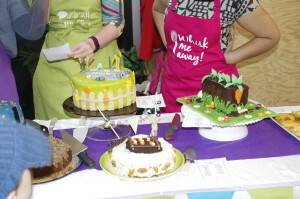 Due to the huge success of this Basel Bake Off, we are planning on giving bigger and better prizes to the winners as well as prizes for second and third place. 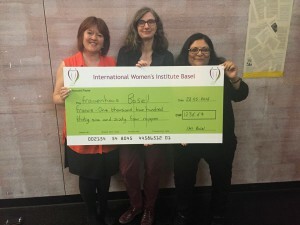 We would like to thank all our entrants, judges, table sponsors, organisers, volunteers who manned the stalls and of course, everyone who came along to support the IWI and Frauenhaus Basel. See you at the next Bake Off!!! 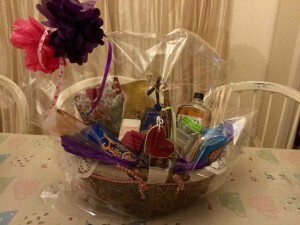 We held a raffle for the Bake Off and these hampers were the prizes!